Our Soothe & Serene Argan Oil and Lavender Body Lotion delivers a calming sensation and instantly revives your skin. 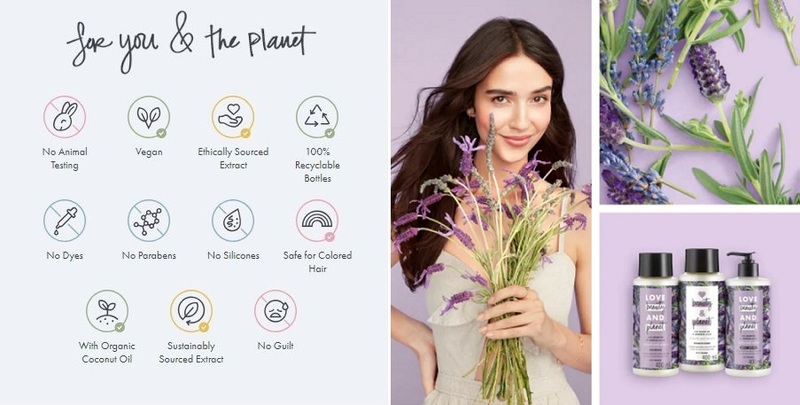 The lavender in our fragrance is infused from ethically sourced extract. Not to forget, this body lotion is made with plant-based moisturizers and contains no parabens, silicones, or dyes and leaves you and the planet a little more beautiful. We source our golden argan oil from sources who obtain this oil through a women’s co-operative with the Berber women of Morocco. This blend provides the hydration your skin needs as well as 24 hour moisturization. Our formula is infused with French lavender, which is grown using the traditional ‘préfané’ technique, where the lavender is cut by hand and left to dry in the fields for two to three days. This gives our product a unique fragrance of soft, floral notes balanced with slightly fruity overtures that are rounded out by a sweet balsamic note. If you are selected, use Love, Beauty & Planet product you received from us as per instructions. Take a creative and high quality picture of you and/or the product and upload it on the website. This is a new brand for me. Never tried before. So, I choose to join the crowd! 6. The smell is so good! Nice product with lightly lavender smell which can calm you mind but soothe your skin. This gentle body lotion really can delicate my skin, likes it. Quite surprise it does not leave sticky residue after applying but the initial smell is quite pungent. After it settle it lingers in the air but overall not a bad product.